I'm beginning to really get into face masks, and we picked these little sachets up in Poland earlier this month. If you want to see what else we bought I made a YouTube video about it - we may have gone a little crazy. Anyway, I've not really tried anything from La Roche-Posay before so I was really interested to see how their Hydraphase Intense Masque would work for my dry and dehydrated skin. You get probably two masks worth in each sachet, and I think we paid around £3 for the two which is pretty decent - the full size bottle is £16 and you get 50ml, which isn't great but also isn't terrible. 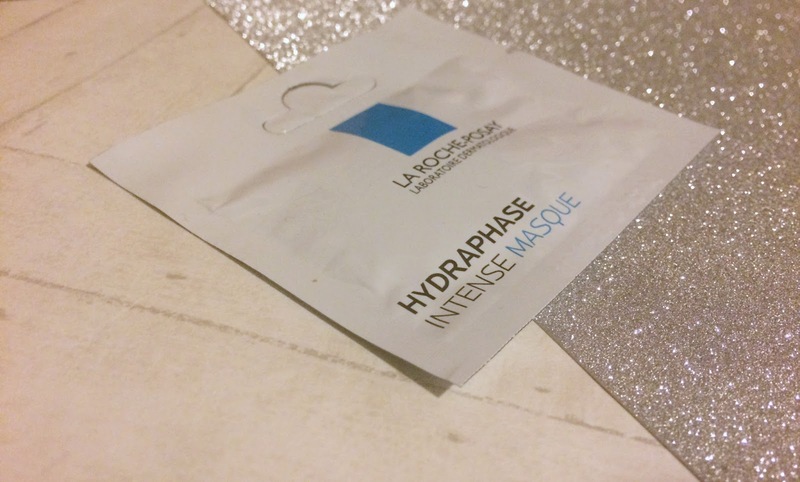 The mask is marketed as being soothing and rehydrating with no fragrance or parabens. I do personally think it has a bit of a scent to it, but nothing too overpowering or awful, just a bit old lady-ish. I also wouldn't particularly say it's soothing, as it did sting on my upper lip where I had an annoying patch of eczema. As LRP are a sensitive skin brand, this was slightly annoying. But it didn't sting so bad that I felt the need to wash it off immediately, which is good, and it did leave my face feeling hydrated. I would say if it didn't have 'intense' in the title, it would probably be doing what it says, but I've definitely tried more hydrating masks. It hasn't broken me out and it hasn't made my eczema worse, but it equally didn't take away any redness or leave me with soft, lush, lovely skin - it was just okay. So as you can see, this one's a bit meh for me - I didn't love it, didn't hate it, wouldn't buy it again but wouldn't throw it back in your face if you offered it to me for free. More masks should be sold in sachets like this! It would be a much more affordable way to try out some higher end masks before committing to a full sized bottle!